Once upon a time, there lived a humble juggler, Barnaby by name, who was skillful but suffered every winter from poverty. A devotee of the Virgin, he had few failings apart from enjoying drink a little too much. One day he met a monk, who persuaded him to enter a monastery. 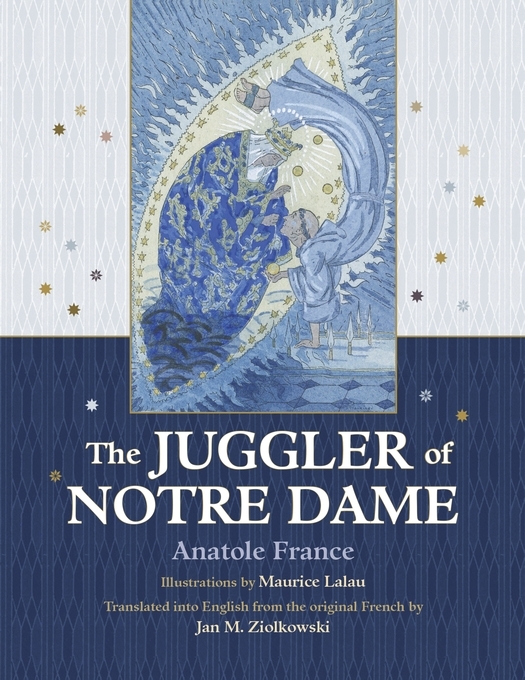 All the brethren had exceptional skills to exercise on behalf of Mary, but the juggler felt he had nothing worthy to offer. Finally, he had the notion to juggle copper balls and knives before the altar of the Virgin in the chapel. The others caught him in the act and deemed his behavior madness, but after seeing the Mother of God descend to soothe him, they realized that he was blessed. Writers, illustrators, and musicians from the Middle Ages to the present have loved this simple, medieval tale. 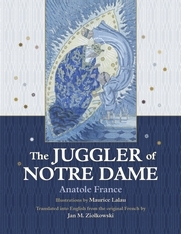 In 1890, Anatole France (1844–1924) adapted the original poem as the short story “Le jongleur de Notre-Dame.” Dumbarton Oaks is pleased to bring this version back into print for the enjoyment of modern audiences, featuring a translation by Jan M. Ziolkowski and Art Deco illustrations by Maurice Lalau (1881–1961), faithfully reproduced from a 1924 printing.